and materials at affordable prices. – We Will Beat Any Price! – We Will Never be Undersold! We come directly to your home, office or RV park at no extra charge. 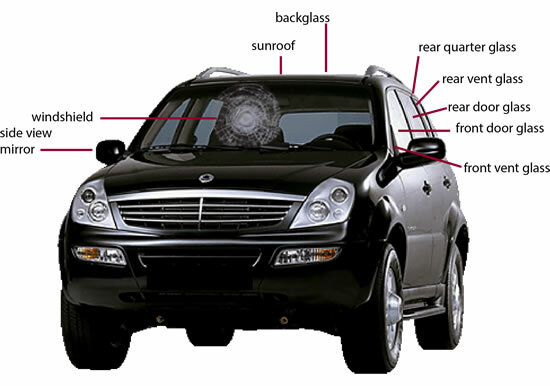 Majesty Auto Glass is your reliable source for high quality auto glass replacement in San Diego, California. Since 1988, we have been in the auto glass replacement and repair, windshield repair and windshield replacement business, and now we have over 100 locations across the nation. Our large inventory of glass from windshields to windows helps us service all types of vehicles both domestics and foreign, including Semis, Trucks, RVs, and more. We even offer competitive prices and quality OEM glass that will ensure only the best services and costs for your auto glass repair or replacement! In California, our Majesty Auto Glass location is: 532 28th Street, San Diego and we are here to serve all your auto glass repair needs. Especially relevant is that we work with auto insurance claims and can replace or repair your car’s windshield the same day you come in. Tired of your car heating up in the California sun? 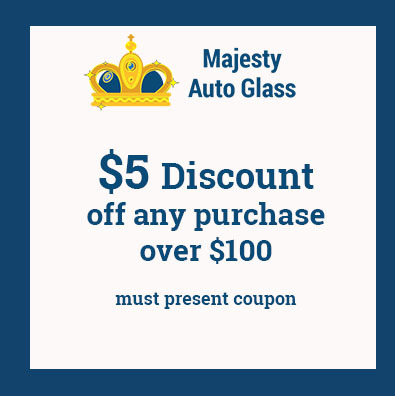 In addition to car glass repair and replacement, Majesty Auto Glass has in-house tinting at reduced prices! Contact us today to make an appointment. We have over 100 auto glass locations across the nation. Our California Majesty Auto Glass is located in San Diego. We serve the following locations: San Diego, National City, and Chula Vista. We work with auto insurance claims and can repair your car’s windshield the same day you come in. For your safety on the road, we can come to your home or business for our services. 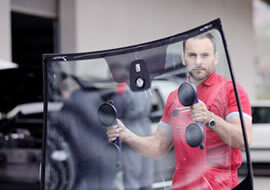 We have a fantastic reputation for being experts in our field and having great customer service not only for repairing windshields but also for other types of auto glass services. If you are within 30 miles of our shop location, we can drive to you and take care of your auto glass needs, including power windows, mirrors, sun roofs, and side glass. Take 94 East and immediately take Exit 1 for 28th Street. The exit will circle around and bring you to a traffic light intersecting with 28th St. Take a left. You will pass under and overpass (bridge), and we are located directly on your right hand side as soon as you go under the over pass. Take 94 West and take Exit 1CC for 28th Street. Take a left onto 28th Street. You will pass under an overpass (bridge), and we are located directly on your right hand side as soon as you go under the overpass. If for any reason our windshield replacement service did not meet your expectations, the problem will be resolved at our company’s expense. If an item did not meet your expectations, a replacement will be provided, with the exception of chip repairs. San Diego, National City, and Chula Vista. Our reputation is built on our professionalism just as much as it is built on our unbeatable prices. Thus, at Majesty Auto Glass, we guarantee services of the highest quality provided by the most qualified auto glass technicians. Even our materials are of the best condition, including our power windows, side glass, and sun roofs. We provide windshield repair and replacement services for RVs and other motor homes. Additionally, we provide windshield replacement and repair services for all types of trucks from a small pick-up to an 18-wheeler. 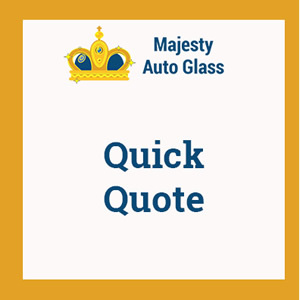 Plus, Majesty Auto Glass offers a windshield repair or replacement service for most cars, domestic and foreign, manufactured in 1939 and after. The service at Majesty Auto Glass was superior. 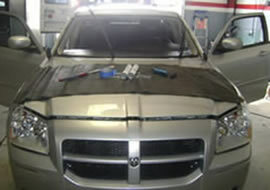 All employees were courteous and they were very informative with all the details and process of the repair. I highly recommend them. With all the construction in the area, my car windshield was hit with a rock during my lunch hour. The mobile service at Majesty Auto Glass came to the rescue. All was fixed in a timely manner. When I woke up this morning, my windshield was cracked. I found Majesty Auto Glass online, took it to the shop, and had the windshield fixed quickly. What a relief! © 2019 MajestyAuto Glass. All rights reserved.